Do you own or operate a lawn care service and want to simplify your payment processing? Let The Transaction Group (TTG) help your business. TTG offers credit card processing solutions for landscaping businesses at the lowest rates in the industry. At TTG, we know that your time as a landscaper is valuable. Why waste time processing checks, driving to the bank, and waiting for them to clear? With a lawn care merchant account, you’ll have the ability to process your customers’ cards on site and receive payment immediately. A popular credit card processing option for landscapers is to set up recurring billing. 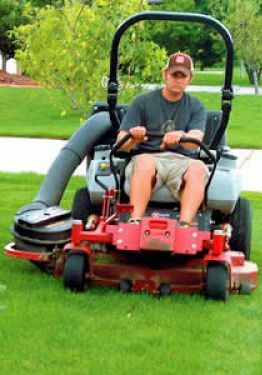 This type of billing is ideal for ongoing lawn services in which you service your customers’ lawns on a weekly, bi-monthly, or monthly schedule. With recurring billing, your customers don’t have to be home for you to get paid. You won’t have to mail invoices, and you’ll never have to remind your customers about payments or send out harassing late notices. Your customers will enjoy the convenience of this added service, and you’ll love how easy it is to keep track of your customers. Mobile credit card processing solutions are also becoming common for landscaping businesses. With a mobile solution paired with a merchant account, landscapers have the ability to process customers’ cards through a device attached to an iPhone or Android. Mobile processing is ideal for services that are not on a recurring schedule where your customers are in need of one-time, annual or semi-annual services, such as tree trimming or tree removal businesses. Tree services or other landscaping services that have a smartphone credit card processing solution can conveniently collect payment as soon as the work is completed. With our fast application and approval process, we can have your landscaping merchant account set up in under 3 business days. To start your application, click ‘Apply Now’. Have questions or prefer to speak with someone? Call us today. We look forward to hearing from you. Please complete this short application and we will be in touch with you within 1 business day. Thanks!